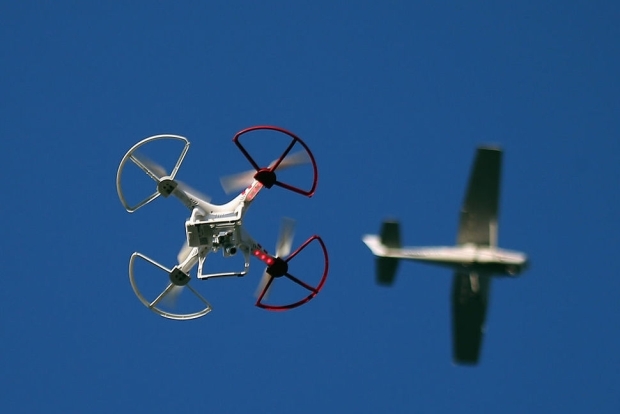 Two people were arrested just after 10 p.m. local time on suspicion of criminal use of drones. There was no immediate word on their identities, where they were arrested, or how they were found. 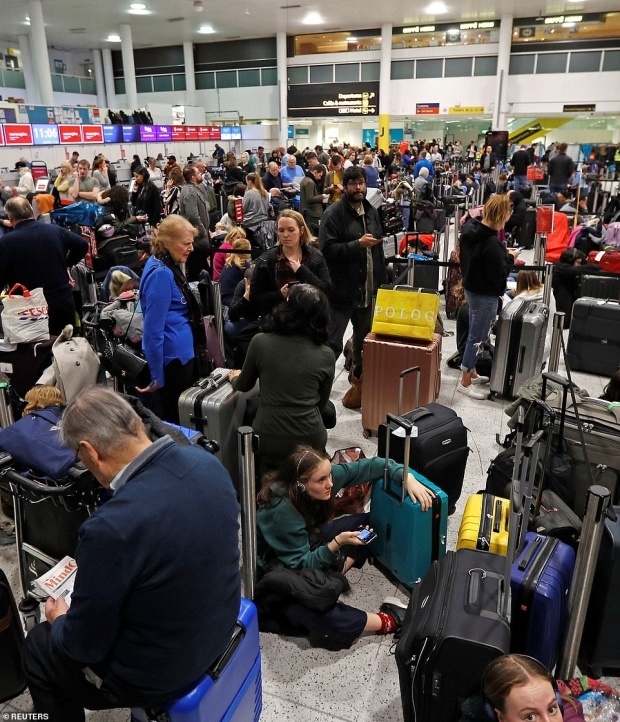 The runway at Gatwick has re-opened today hours after the Army deployed weapons the neutralise the drone terrorising the airport – but the hunt for the rogue pilot who taunted police for 36 hours continues. 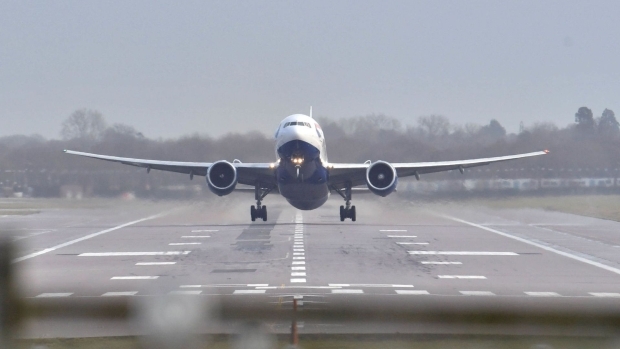 The airport remained shut today as the unmanned aircraft was spotted again over the runway, prompting a game of cat-and-mouse with police before the Army was called in this afternoon. Even if this isn’t jihadists, you can be sure they’re paying close attention. 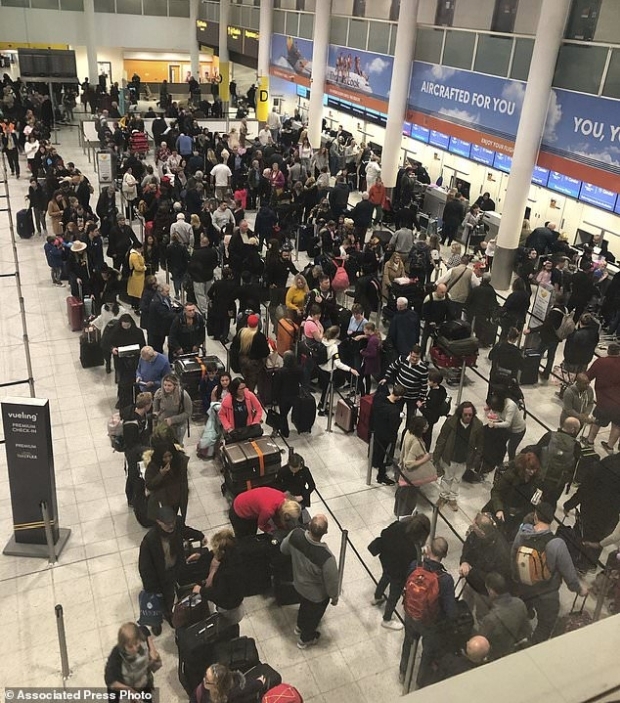 Thousands of passengers were delayed, diverted or stuck on planes Thursday as the only runway at Britain’s Gatwick Airport remained closed into a second day after drones were spotted over the airfield. Venezuelan authorities said on Sunday they have detained six people over drone explosions the day before at a rally led by President Nicolas Maduro, as his critics warned the socialist leader would use the incident to crack down on adversaries. Affordable consumer technology has made surveillance cheap and commoditized AI software has made it automatic. 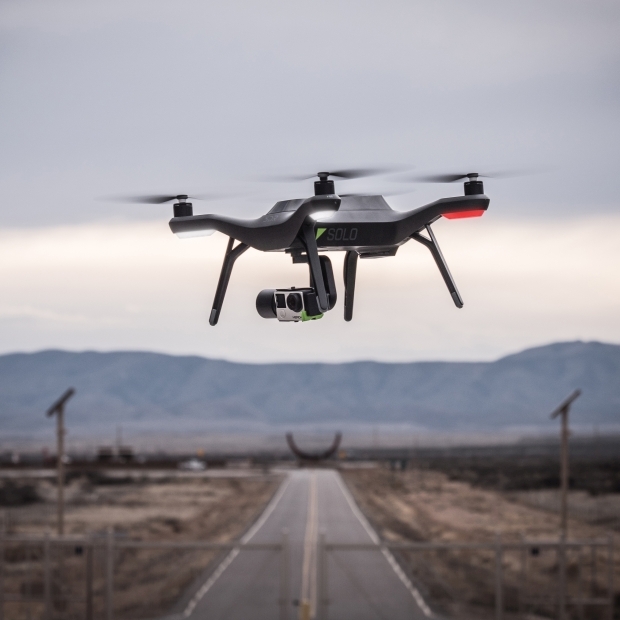 Those two trends merged this week, when drone manufacturer DJI partnered June 5 with Axon, the company that makes Taser weapons and police body cameras, to sell drones to local police departments around the United States. 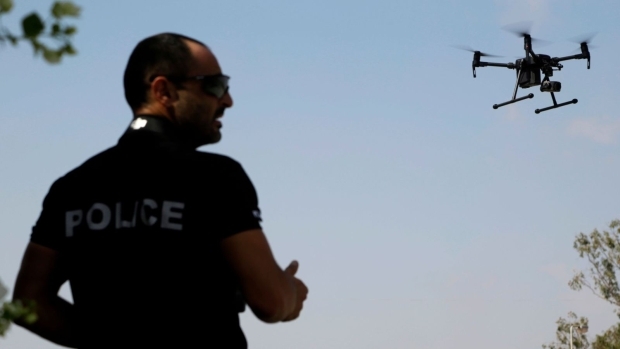 Now, not only do local police have access to drones, but footage from those flying cameras will be automatically analyzed by AI systems not disclosed to the public. Not a police drone. Yet. Fret not, Californians, that’s not ET, it’s a security drone from the Sacramento Housing and Redevelopment Agency (SHRA), and it’s not on the lookout for undrawn curtains, but rather illegal dumping or trespassing on two local communities. Well sure, you can trust the California government. And SHRA is just a little too close to you-know-what for me. 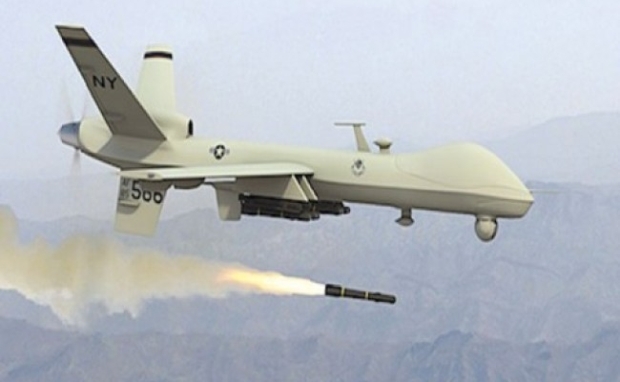 Last week, terrorists from around the globe were taken out by U.S. strikes. Here’s a look at three places America hit last week, making the world a safer place for everyone. If anyone would like to start a crowdfund, I’d like a Reaper for Christmas. 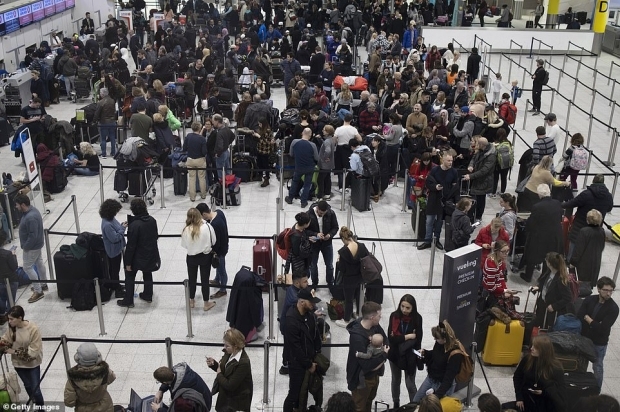 The Department of Homeland Security issued a bulletin warning Americans about the potential threat of terrorists using weaponized drones as possible means to attack commercial aircrafts in America. 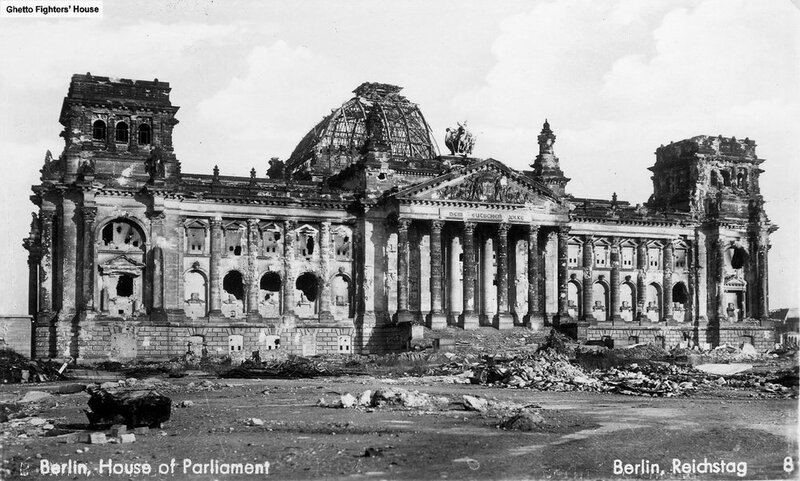 The updated bulletin also included warnings of chemical attacks. The Israeli military is buying small multi-rotor drones modified to carry a machine gun, a grenade launcher and variety of other weapons to fight tomorrow’s urban warfare battles. Their maker, Florida startup Duke Robotics, is pitching the TIKAD drone to the U.S military as well. Mediaite editor Jon Levine wrote a non-sarcastic article on Monday making “the case” for murdering famed Wikileaks publisher Julian Assange in a drone strike. 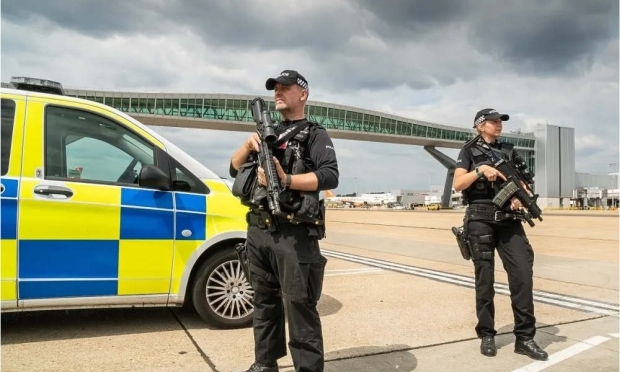 Connecticut could become the first US state to allow police to use drones equipped with deadly weapons if a bill opposed by civil libertarians becomes law. 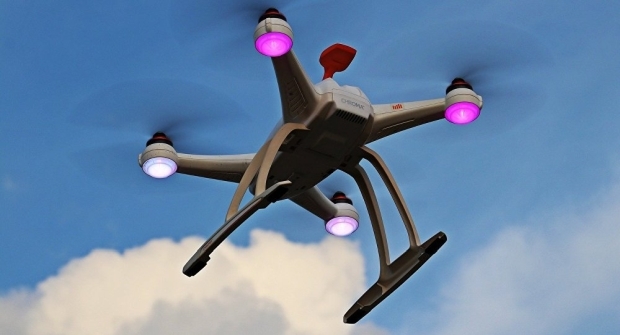 The bill, which was approved overwhelmingly by the state legislature’s judiciary committee on Wednesday, would ban so-called weaponized drones in the state but exempts police and other agencies involved in law enforcement, the AP reported. 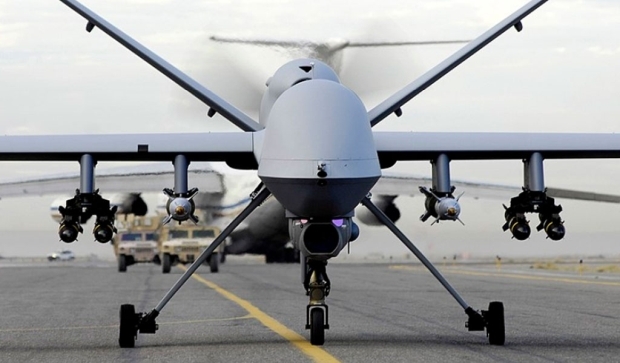 The legislation was introduced as a complete ban on weaponized drones but just before the committee vote it was amended to exclude police from the restriction.